ETCHING... A print taken from a metal plate. Print left and metal plate on the right. 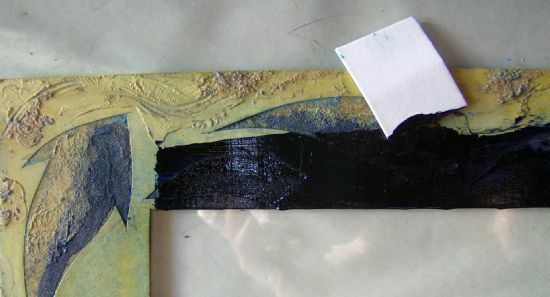 AQUATINT... Resin powder is melted onto the metal plate to produce a tonal, textured surface. 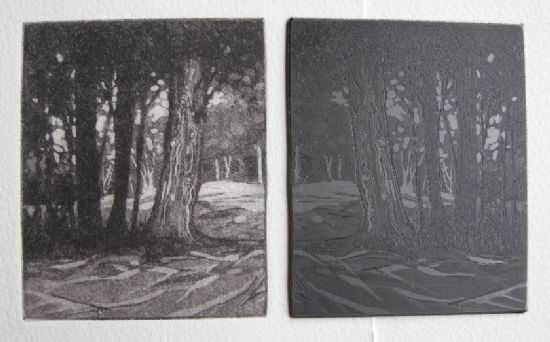 MONOCHROME... An etching printed in one colour. LINOCUT... A relief block cut into linoleum. MONOPRINT... A singular image created on a surface of acetate. found materials onto a base of card. 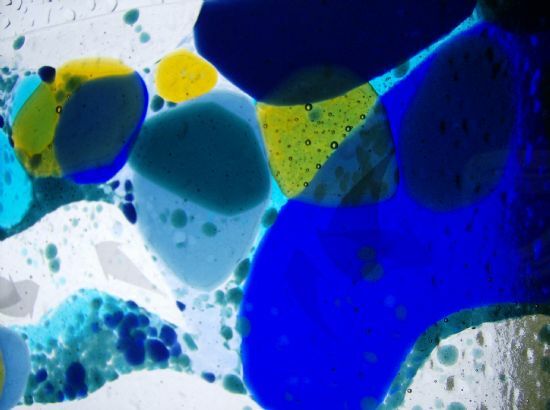 FUSED GLASS... Bullseye glass which is cut and fused together in a kiln.